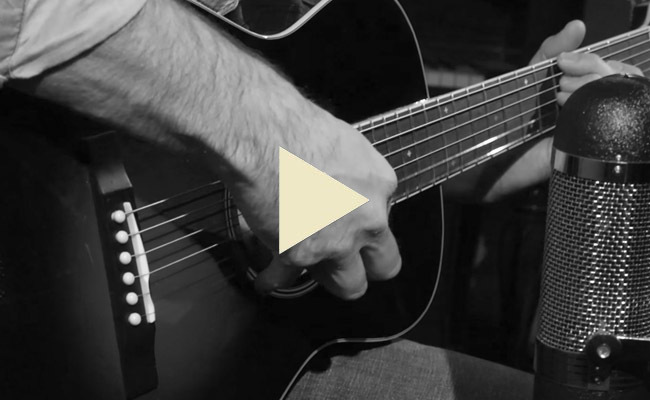 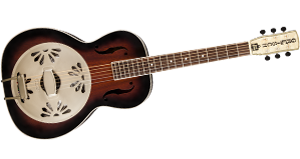 Inspired by tradition, yet rooted in pure Gretsch sensibility, the all-new Style 1, Style 2 and Style 3 acoustic guitars speak with voices that harken back to a bygone era of "living room" choruses and prairie melodies. 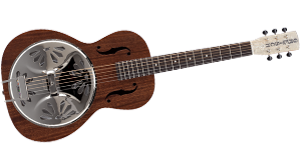 These guitars are crafted with vintage artisan features and include our tapered, quartersawn spruce bracing patterns, specifically voiced for a surprising "throw" that maintains a clarity and balance not found in guitars of this range. 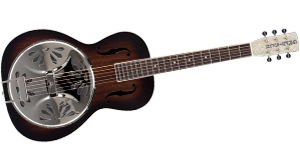 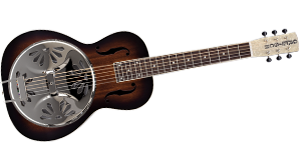 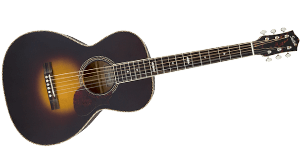 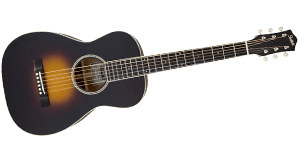 Gretsch's Jim Dandy Flat Top parlor-style models are faithful to the Gretsch "Rex" parlor guitars of the 1930s, '40s and '50s and embody everything that was great about everyone's first guitar. 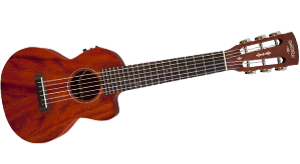 Everything and then some, that is, because they're crafted with select woods, are fully lined and braced for warm and pleasing tone, and feature a 24" scale for endless hours of playing comfort. 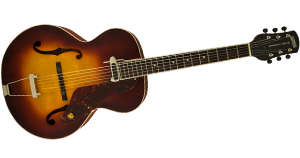 And in a most welcome return, the classic 1950s Gretsch New Yorker™ archtop guitar is back in an elegant grand auditorium model sure to become your new favorite for its excellent tone, effortless playing action and handsome good looks. 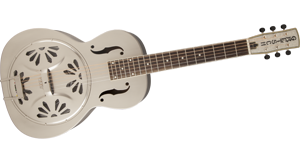 Remarkable Gretsch Ampli-Sonic™ resonator guitars add powerfully distinctive tone to the Roots Collection. 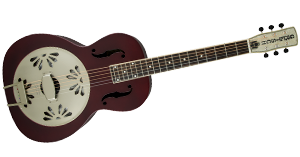 The mahogany-body Boxcar™ Standard and Bobtail™ Deluxe each come in round-neck and square-neck models, and the round-neck Honey Dipper™ has a nickel-plated brass body. 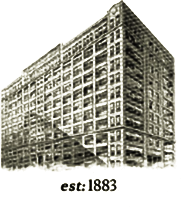 And don't even get us started on the "AlligatorTM" Biscuit Roundneck model. 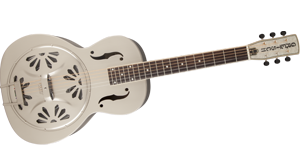 The heart of each richly resounding guitar is the new Gretsch Ampli-Sonic resonator cone, hand-spun in Eastern Europe from nearly 99-percent pure aluminum for fantastic volume and sonic projection. 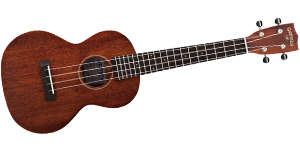 At the request of Gretsch fans worldwide, the Roots Collection also presents gorgeous new Gretsch ukulele models. 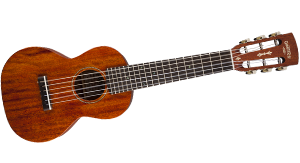 The uke is experiencing one of its phenomenal resurgences in popularity, once again bringing the lilting sounds of the South Sea islands to delighted ears everywhere, Gretsch’s three deluxe ukuleles—the Concert Deluxe, Tenor Deluxe and Tenor Cutaway Electric models—boast premium construction features such as quartersawn solid mahogany top, back and sides; one-piece mahogany necks and handsome semi-gloss finishes. 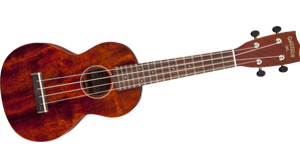 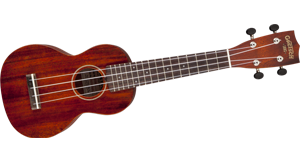 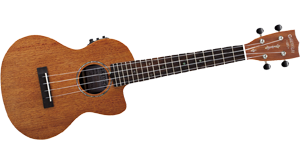 The three standard ukes—the Soprano Standard, Concert Standard and Tenor Standard models—deliver laminated mahogany build and other fine features. 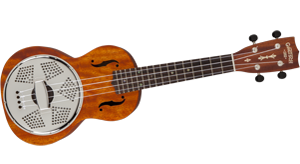 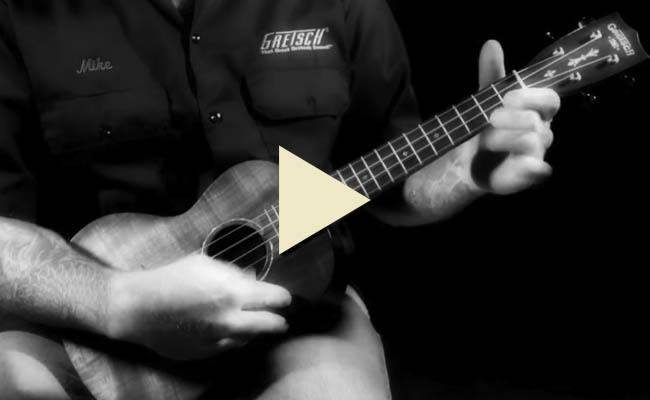 Along with the Guitar-Ukulele, Resonator-Ukulele and "NYC" Camp Uke, all Gretsch ukuleles deliver great looks, smooth feel and wonderfully singing tone. 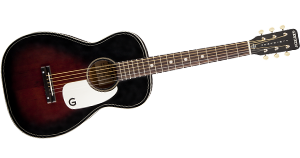 Look, when hopping that next train toting your fine Gretsch Roots Collection instrument, why not do so in high style, convenient comfort and a modicum of protection from the elements by stashing it in a fine-quality Gretsch instrument case or gig bag? 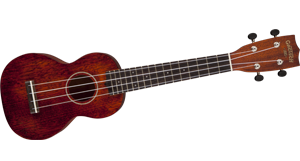 Having one or t'other is great for getting your instrument from point A to point B, and carrying one or the other makes you look even cooler and feel even finer. 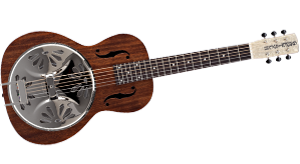 Food will taste a little better, the air will smell a little sweeter, your relationships will improve, and little cartoon birds will fly around your head singing happy songs all the livelong day. 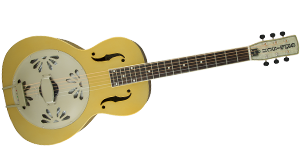 So invest in a fine Gretsch case or gig bag today, your Roots Collection instrument will thank you, and so will we. 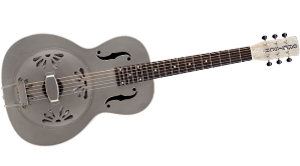 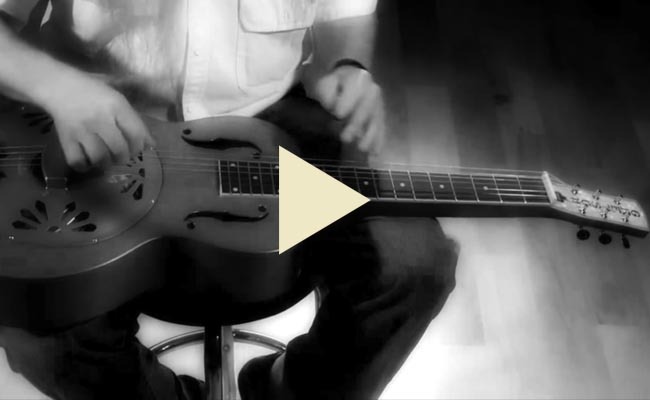 Jon Rauhouse and Mike Lewis lay down some back-room blues with the New Gretsch G9200 Boxcar™ Square Neck and G9220 Bobtail™ Resonator guitars. 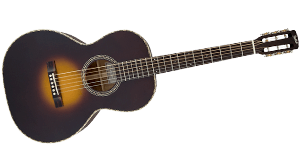 Roots Collection™ Acoustic Guitars represent a level of value, detail and craftsmanship not seen since the late 19th and early 20th centuries.